New Delhi, March 31, (globelmedianewstv.com): Everyone's attention is going on Monday. The parliamentary conventions came to an end. Four days left. Does the unbelievable resolution be discussed in these 4 days? The Congress, TDP, and the YCP of the resolution are discussing what's going to happen. The argument is that Chandrababu Dharna is coming to the Delhi tour for Telugu people. On the other hand, Pawan Kalyan did not have the argument that he would come to an end. After the resignations, what would the YCP be doing is interesting. 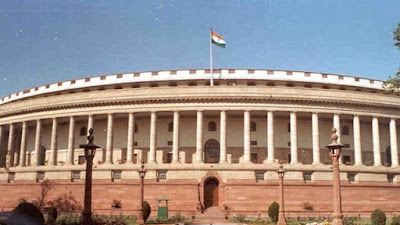 The status fighting in Parliament reached the final point. Now it's all on April 5th. Because Parliament will make an indefinite postponement after April 5 ... The Congress is furious to know what the six parties like the Congress, TDP, YCP, and CPM are going to do. The Center is scared to discuss the issues of confidence. If the debate on disbelief does not take place, what should be done about the decision of the YCP and TDP? The pressure on the center is to be done. The MPs will be resigning. Whether they approve or not is interesting. On the other hand, the center focuses on the functionality of Chandrababu. Pawan Kalyan's words are limited. It does not matter. Make a no-confidence motion. I'm going to take care of myself. But later it was forgotten. Listeners are acting like crazy people. On the other hand, the ANNADMK, who is fighting for the Cavery board, has intensified their fighting. As a result, the Lok Sabha does not seem to be smooth. The speaker says that there is no talk of debate if the House is not in the order. As a result, it seems to be a desperate need to drop hopes on infidelity. The status fighting is becoming visible from Delhi to Gully.